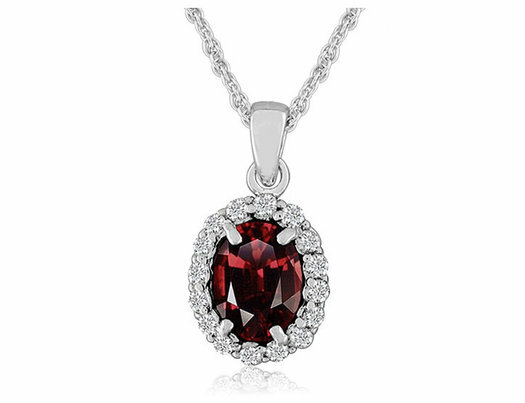 Featuring 2.0 carats (ctw) of deep red garnet and twinkling white topaz, this pendant necklace makes a gorgeous statement. The beautiful oval garnet, the traditional birthstone for the month of January, sparkles from the center and is surrounded by a halo of white topaz gems. This pendant is set in gleaming sterling silver and comes with a matching 18 inch chain.